Megan Duncan, YA Author: Cover Reveal! 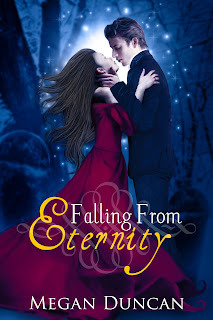 And here it is, the cover for my brand new paranormal love story, Falling From Eternity! Please excuse me whilst I skip around my office and do a little happy dance! I had been struggling with this cover for weeks, not knowing how I wanted it to look, but the marvelous Najla Qamber saved me. She was able to piece together my confusing ideas, and create this masterpiece. 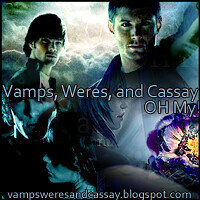 I'd also like to thank Marcus J. Ranum for some great stock that helped create this wonderful cover! Now I know everyone is probably wondering when this book is coming out...okay, I'm hoping you're all wondering when this book is coming out, but I don't have an official date yet but it will be soon. Very soon. I do, however, have a small snip-it from the book to share with you. Hopefully it will satisfy your cravings for now. “I looked around the cemetery at the dead trees, and lonely tombstones; at the long deceased flowers and desolate landscape, and realized that maybe there really wasn’t anything more than this. You live and then you die. My immortality wasn’t some gift to make a difference in the world, or to give me time to find purpose in life, but simply a curse. A curse to wander around in a stagnant void. I could be nothing more than what I was, a creature of nightmare. My existence had no meaning, no point. I lived only to feed, to gorge myself on blood and satisfy my every desire no matter how dark or cruel.